The internet is jam-packed with sites waiting for you to wade through and bolster your knowledge of matched betting. But knowing which sites are worth reading can be a battle. We decided to put together a list of the top matched betting blogs, all these sites are bursting with useful information and tools you can use to help you improve your matched betting game. Some may already be known to you, but hopefully there will be some on this list that you haven’t checked out yet. Well, no list would be complete without our very own blog! We update regularly to make sure our readers are kept well informed about all things matched betting. You will find useful guides and information here for some of the most frequently asked matched betting questions. 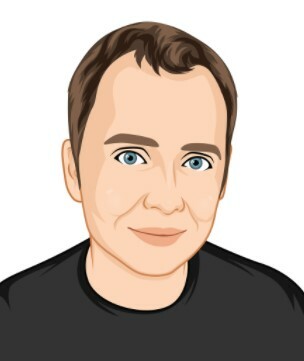 You can also follow Ben’s Diary, he documents his matched betting career, posting what offers he does and how he makes his money. He aims for £20 a day, but usually makes much more than that. It’s a great way to get inspired to start doing more of the different offers that are available. The guys over at Team Profit run a superb website and blog that helps many people get started with matched betting. It is a great place for any beginner to start learning and earning. They will walk you through a few sign up offers as well as explaining some of the more complex offers. The staff are online most of the time and they have a live chat feature so you can ask them questions about matched betting and the content on their site. It’s a really useful site to add to your bookmarks. Betfair have a very comprehensive blog on all things betting and matched betting is part of that. It is a great blog to subscribe to. As a matched bettor, you’re going to be using Betfair a lot, so it’s good to keep up to date with what they’re up to. And also to read up on how to use some of the more complex aspects of their exchange. 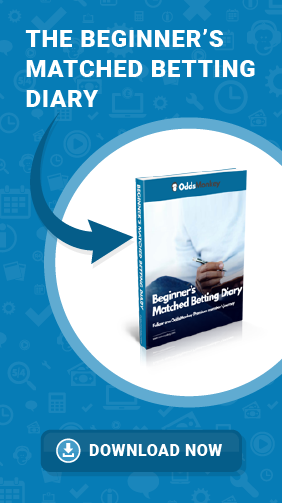 They have a great guide to getting started in matched betting here. Trickybet have some great tools and calculators you can use for free. They have a great tool for finding the Return to Player percentage of online slots and also free calculators to calculate the value of online slot offers. These are great tools you can use every day to help you with your matched betting and casino offers. TrickyBet also have a blog on their site, which talks about matched betting as well as a few other topics around betting such as Betfair trading and advantage gambling. It’s definitely worth checking out. The online betting guide has been around for a long time so the site is jam packed with information. If you are looking to get into different aspects of betting then OLGB is definitely a site you need to check out. This blog mainly focuses on betting tips as opposed to matched betting but there is plenty of useful information here. If you are completely new to betting sites and placing bets then their betting school will teach you all you need to know. The Matched Betting Blog is a great resource for all your matched betting needs. It posts plenty of offers and instructions on how to do them. The owner also documents his own matched betting journey and posts how much money he has made from each offer and explains what he did to get it. He keeps track of all his profits so it’s a great motivational blog to show you that making a lot of money is definitely possible with matched betting. There are also some free calculators on there for you to use. We think these are some of the best blogs and resource sites to help with your matched betting journey. Make sure you bookmark them and check them every now and then as they’re all updated on a regular basis. However, for the most up to date information on offers and the best matched betting tools, there’s only one place to be! OddsMonkey members made £1043.64* on average in October 2017 and you could join them in making some extra cash today. *Average monthly profit based on feedback from first 100 Premium members to comment on forum thread. The Guide to Matched Betting site provides huge tutorials that help you to master each part of the matched betting process. Each guide breaks things down in the simplest of ways with examples also included. Whilst matched betting is their core focus, you can learn sports betting, Betfair trading and some other online money-making methods from them too. They also run a popular YouTube channel, so if you’d prefer your education in a lighthearted video format then this may be something for you.